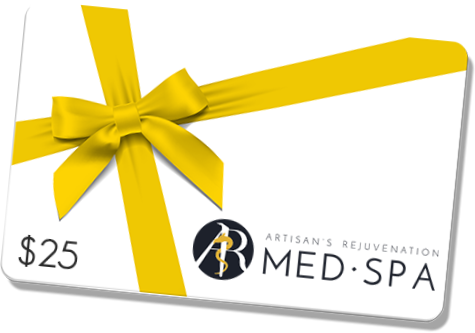 Receive a complimentary $25 gift card to be applied toward your first visit at Artisan’s Rejuvenation Med Spa! To redeem your gift, simply complete the form below and click submit. You will receive a confirmation email. Print the email and call us to make your reservation.